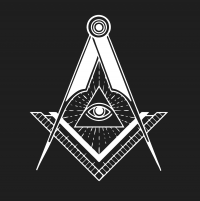 (Jeff Maples – Reformation Charlotte) Freemasonry is rampant in the Church, both in the Evangelical Church as well as other denominations. Freemasonry is a brotherhood — a secret society — of men who, as they claim, come together to work for the common good of humanity. In fact, Freemasons actually do a lot of charitable work and there has been a lot of humanitarian good that has come from this group, such as hospitals.